March 22nd is World Water Day, organized by the United Nations to promote the importance of freshwater resources. This year’s event focuses on wastewater, and how it can be responsibly managed to safeguard health and support sustainable development. In San José, California, the largest advanced wastewater treatment facility in the western United States is at the forefront of meeting these challenges. But, wastewater is just the beginning. The city has a vision not only to serve the region’s future water needs, but also to revitalize the natural environment. California residents, having recently suffered a five-year drought, are keenly aware that water is a finite resource. But water that goes down the drain is not all lost. Increasingly, wastewater is having a second life. Water treatment infrastructure allows the water supply to be replenished, in part, with recycled water. In a drought-prone region, this has a major impact — and the possibilities for recycled water are just beginning to be realized. 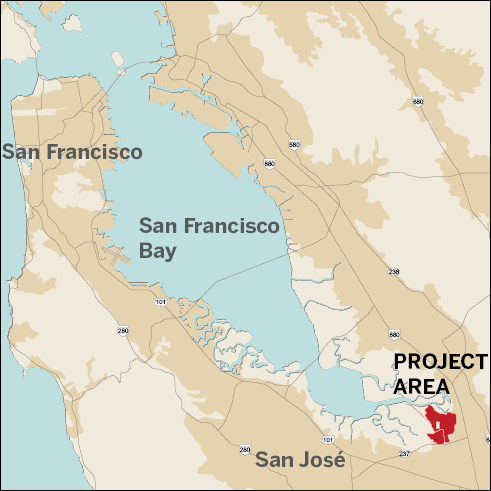 Every day, an average of more than 100 million gallons of wastewater reaches the San José-Santa Clara Regional Wastewater Facility, a sprawling complex on the southern edge of San Francisco Bay. After a thorough treatment process, most of the cleaned water is safely released into the bay. However, millions of gallons of treated water are also returned to the water supply for uses such as irrigating lawns and flushing toilets. Now, the wastewater facility is upgrading its infrastructure, investing in new technology, and also working with the Santa Clara Valley Water District to demonstrate how treated wastewater can eventually become a source of drinking water. 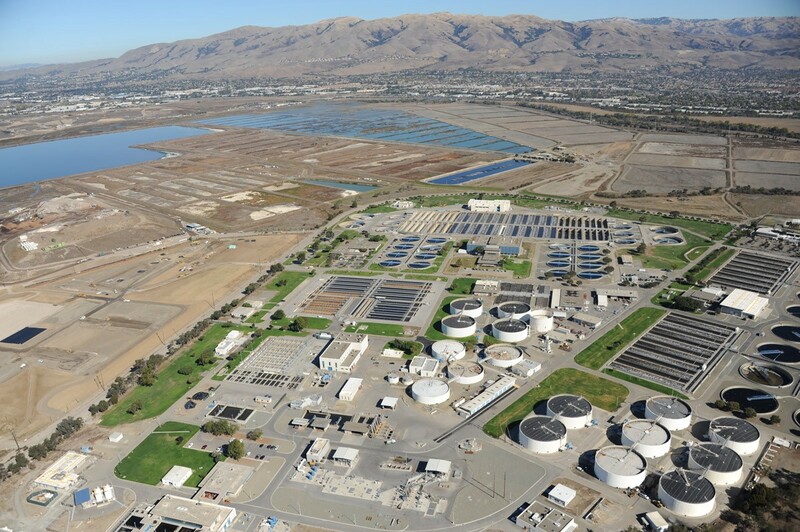 The San José-Santa Clara Regional Wastewater Facility is the largest operation of its kind in the western United States. The investments being made now are based on the Regional Wastewater Facility Master Plan, a comprehensive study completed in 2013. 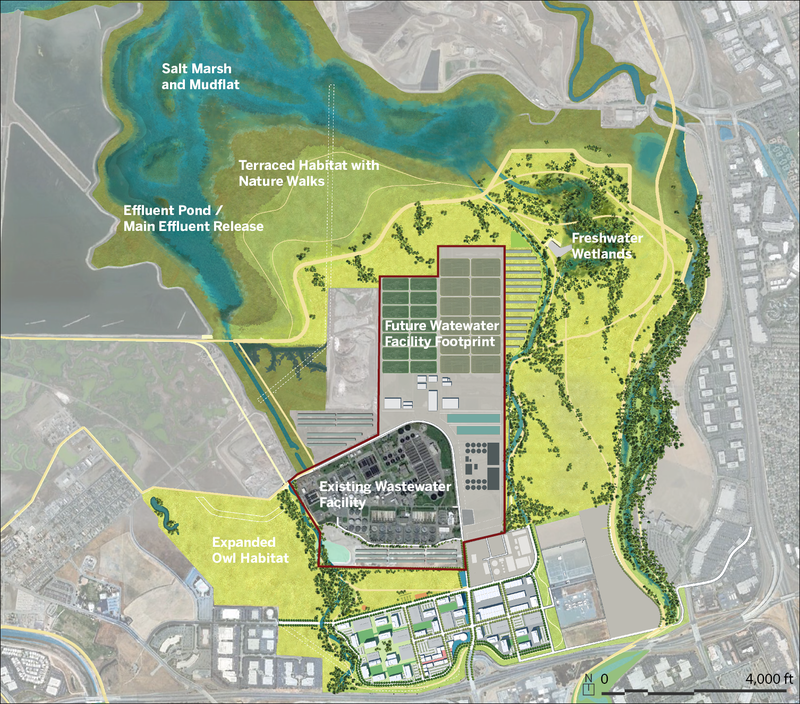 Crucially, this plan looks not only toward how the facility will serve its community in the future, but also how it can contribute to restoring the sensitive watershed ecosystem of the San Francisco Bay. The site is larger than both San Francisco’s Golden Gate Park and New York City’s Central Park. 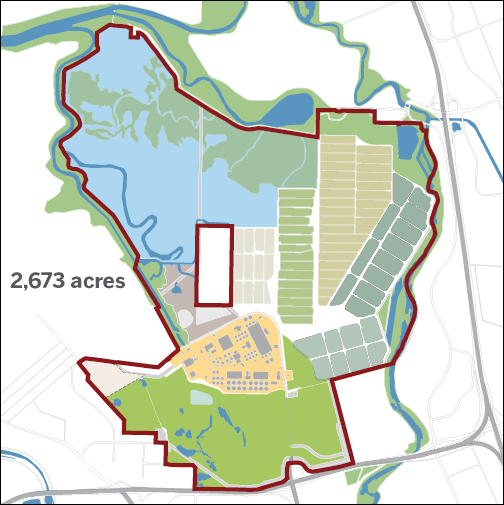 The facility is surrounded by hundreds of open acres — known as the “bufferlands” — that constitute one of the largest undeveloped parcels in the Bay Area. This territory was acquired decades ago to protect the surrounding community from some of the formerly unpleasant aspects of the treatment process, including odors and chemicals. In recent years, however, the facility has phased out the use of substances such as chlorine in favor of greener methods. And advanced odor treatment strategies have made noxious smells less of an issue than in the past. Over the next 30 years, upgrades in wastewater treatment technology will also allow the facility to use its land more efficiently. Eventually, it will be able to reduce its operational footprint by more than 70 percent — opening up thousands of acres to new potential uses. Romanow notes that the site is larger than both San Francisco’s Golden Gate Park and New York City’s Central Park. “When you think of it in that context, you can really appreciate how much land it is,” she says. 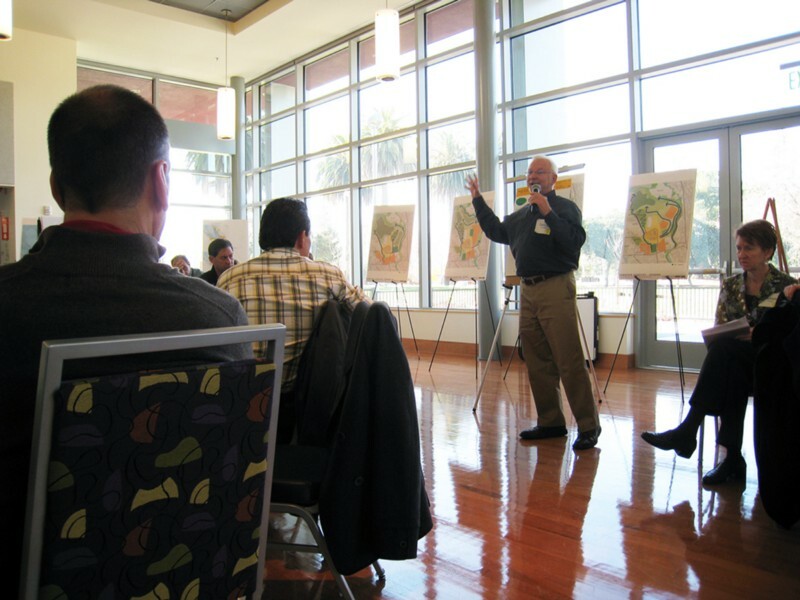 To determine how best to use the land, the project team worked with several advisory groups, including community members, stakeholders, and technical experts. 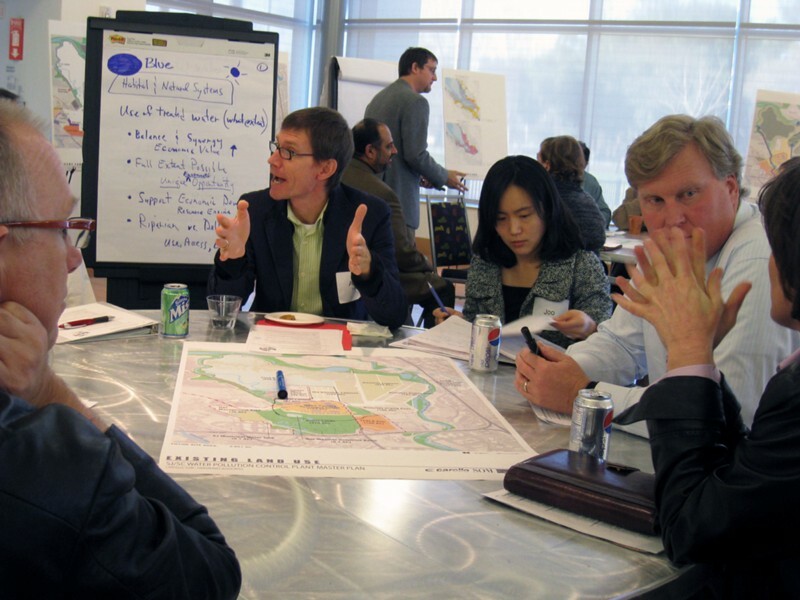 The master plan was developed through three years of intensive community engagement, with thousands of local residents participating in public meetings, surveys, and tours. 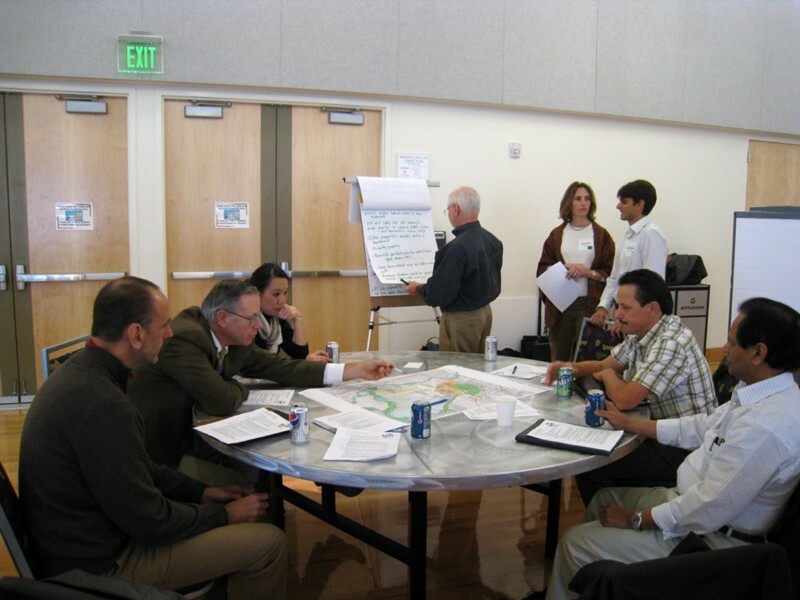 As a result, Romanow says, “The plan adjusted and evolved to be something that the community wanted.” The final document adopted by San José outlines a number of goals — among these, to support the region’s economy, to provide the community with new recreation spaces and access to the bayfront, and to restore the environment. The planning team found that during the rainy season, the wastewater facility would provide more recycled water than the cities of San José and Santa Clara could use. 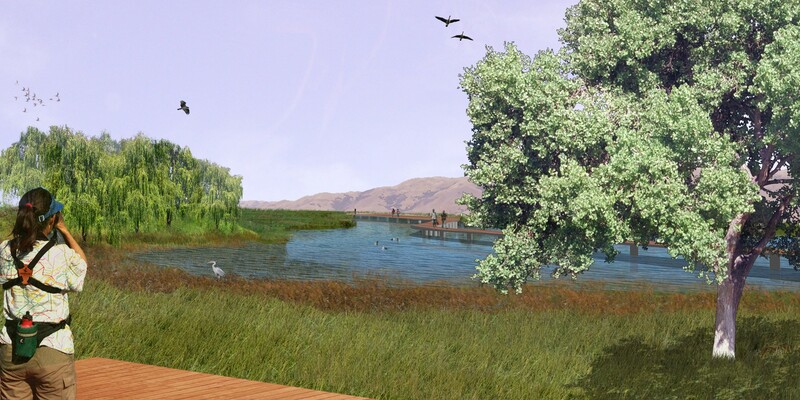 The water could then be used to revitalize the former salt ponds along the bay edge. This, along with other environmental remediation strategies, will help to restore the area’s rich biodiversity. “We’re providing places for nature to flourish again,” Lewis says. The master plan also envisions how to guard the coastline against the effects of climate change. The wastewater facility is located at one of the lowest points along the bay, making it vulnerable to sea level rise. In response to this, the team is coordinating with partners in the South Bay Shoreline Project to construct a levee that will protect the wastewater facility, residences, and businesses in the area. 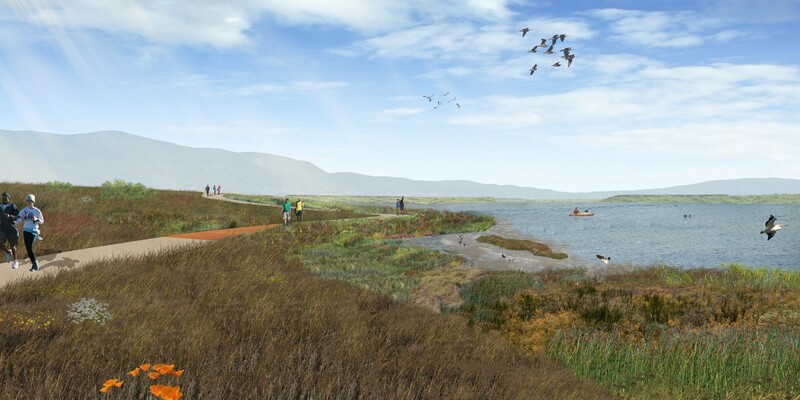 The shoreline levee will feature an innovative sloped design that will allow natural habitats to gradually move upward over time. 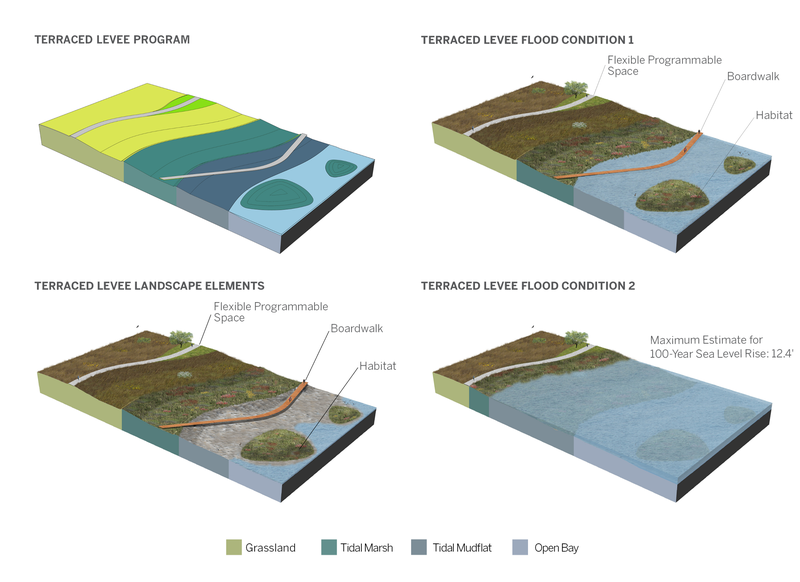 Designed to address the 100-year expectation for sea level rise, the levee will provide a resilient landscape that adapts to the changing characteristics of the bay. Skidmore, Owings & Merrill is one of the leading architecture, interior design, engineering, and urban planning firms in the world. For more, visit www.som.com.